David Krut Projects is pleased to present Permanent Culture, Stephen Hobbs’ first solo show in Cape Town since 2009, opening on the evening of 20 February, with a multi-media installation in the canopy of the Montebello forest. The show opens a few days before the annual Cape Town Art Fair, at which Hobbs will be presenting NO FUSION, a reflection on the research that has resulted in this exhibition. The talk will take place at 12.30am on Saturday, 28 February. Stephen Hobbs’ preoccupation with the politics of town planning and urban design has led to a 3-year investigation,starting with a study of the characteristics of the David Krut Projects space in Newlands and extending outwards – from the canopy of the forest to the concealed First and Second World War bunkers and gun batteries of the Cape Peninsula. Permanent Culture represents an elaborate multi-media revelry in the optical and psychological effects of camouflage and the historical role the arts have played in creating deception in the battlefield. Equally, the exhibition is an artistic analysis of the isolated nature of the gallery and suburban surrounds relative to the socio-political transformation of the Cape in the past 400 years. 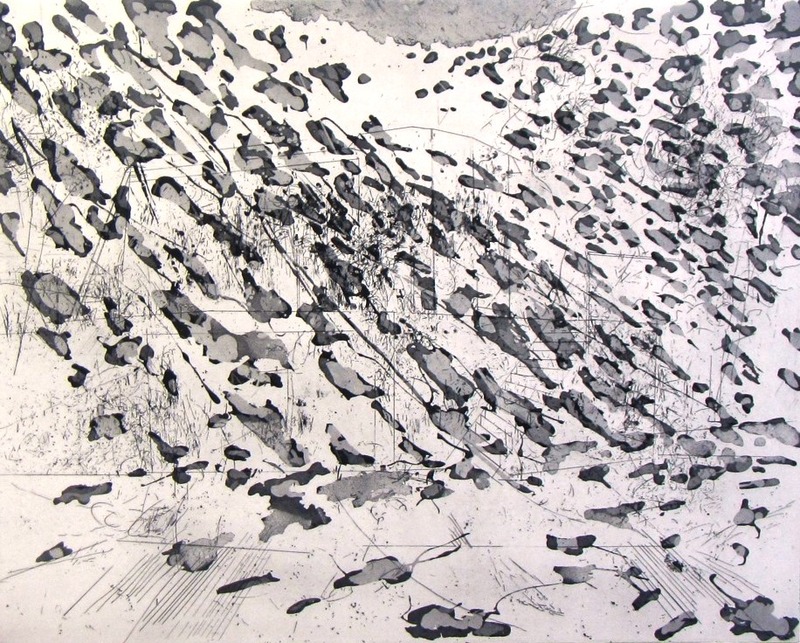 Drawing from extensive field investigations and archival research, Hobbs’ new series of etchings and large-scale woodcut prints make deliberate use of disruptive patterns and blurring to encourage a reading between the built and the natural. The illusionistic aspects of this interrogation extend beyond the walls of the gallery into the environment of the Montebello Design Centre. The near-domestic charm of the interior of the gallery is both enhanced and lampooned by various ‘weapons’ of mass deception, in the form of sculptural and installation features. 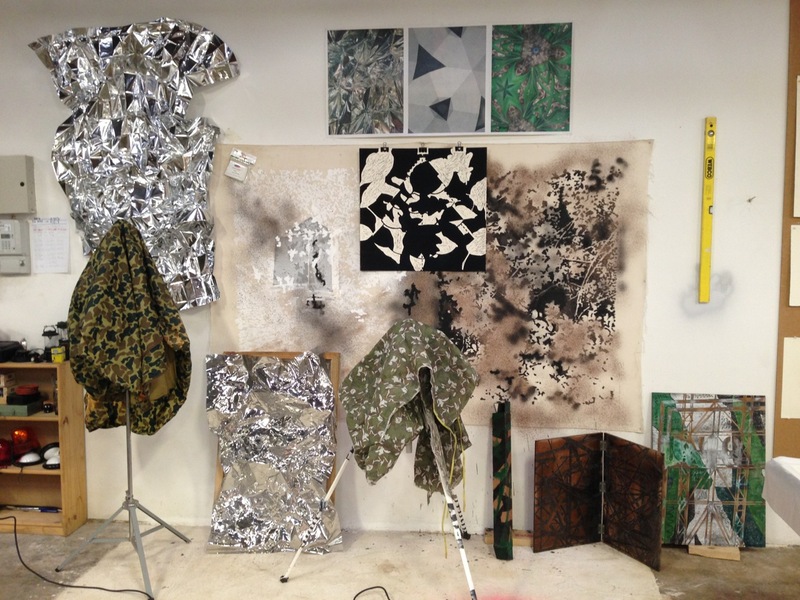 The strong presence of camouflage in this body of work emphasises its value, for Hobbs, as a metaphor for understanding tactical consciousness in urban planning. This is particularly relevant in Cape Town, which retains in its structure the militaristic logic of its design over centuries, with issues of inclusion/exclusion, visibility/marginalisation, the politics of separation and attendant power relations evident in the various stages of shaping both the built and natural environment. The exhibition is accompanied by a publication, The Hobbsian Line, produced in collaboration between Stephen Hobbs and Justin Fox, renowned South African writer and military aficionado. The publication represents an inquiry which draws on Justin Fox’s extensive knowledge of both World Wars, particularly in Africa, and Hobbs’ artistic interpretation of the local relics that stand testament to that time. Fox’s piece of creative non-fiction, illustrated by Hobbs, gives an anecdotal perspective to the research that provided the catalyst to this project. It also offers insight into the personal stories underlying Hobbs’ conceptual practice, and the unadulterated masculine intensity of an obsession with war and military paraphernalia. For more information about the events or about pricing and availability of artwork please contact Jacqueline at the gallery on jacqueline@davidkrut.com or 021 685 0676.